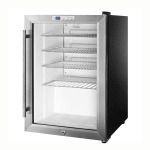 Increase impulse sales in your establishment with the Summit SCR312L single-section beverage refrigerator. The LED interior lights allow for more visibility of products, as well as the tempered, double-paned glass door. This black, fully finished unit conveniently fits on your countertop as a freestanding refrigerator and features an exterior digital thermostat that has an adjustable temperature range from 34 to 43 degrees Fahrenheit. 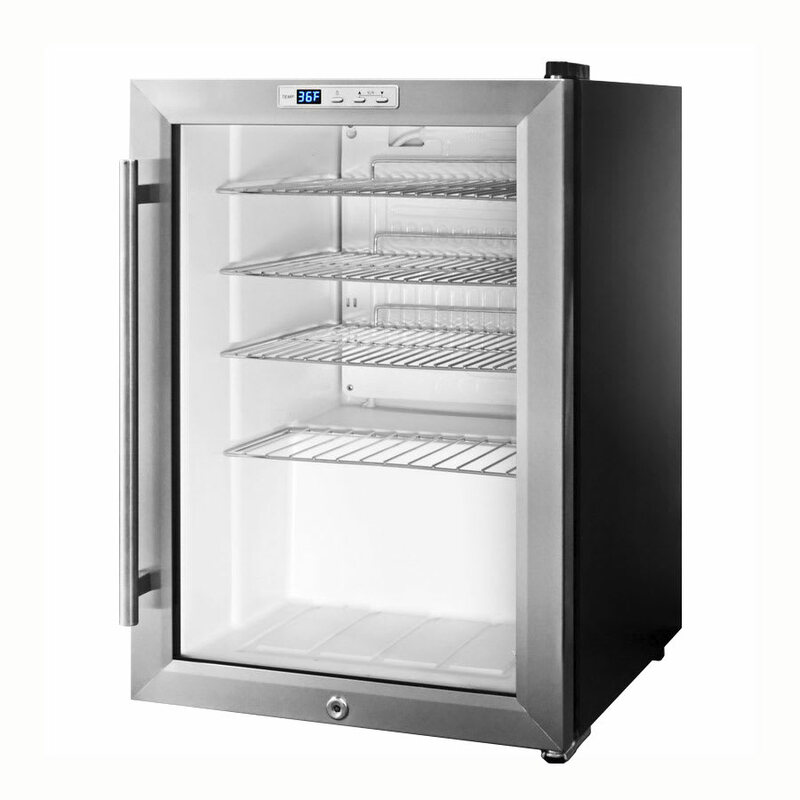 The automatic defrost system prevents ice buildup so the unit runs properly. The Summit SCR312L single-section beverage refrigerator has four chrome shelves that are adjustable to accommodate varying sized products. Cleaning the interior is simple since the shelves are removable. "One caveat - exterior of glass door sweats profusely in humid conditions and can puddle underneath bottom edge of door"
"THIS IS A VISUALLY ATTRACTIVE PRODUCT AT A VERY ATTRACTIVE PRICE POINT. IT IS QUIET AND KEEPS OUR BEVERAGES NICE AND COLD. A GREAT VALUE INDEED..."
"I needed a small unit for a laboratory. I like the digital temp display and it keeps cool within an acceptable range. I would use this at home or..."
"THIS IS A VISUALLY ATTRACTIVE PRODUCT AT A VERY ATTRACTIVE PRICE POINT. IT IS QUIET AND KEEPS OUR BEVERAGES NICE AND COLD. A GREAT VALUE INDEED." "I needed a small unit for a laboratory. I like the digital temp display and it keeps cool within an acceptable range. I would use this at home or in my office. It's nice." "No complaints except perhaps door could be little more secure when closed."